Could you give me a ballpark figure for how much your KiwiSaver may be worth when you retire? Are you planning for your retirement accordingly? Do you have the faintest idea how much you pay your KiwiSaver provider in fees? Do you consider this a fair and reasonable amount relative to the way your funds are being managed? Judging from a Financial Markets Authority (FMA) survey of 1,313 KiwiSaver investors, my guess is you probably answered “no” to most of the questions above. The concern a decent portion of FMA survey respondents had, was that KiwiSaver providers don’t have to tell you how much you pay in fees, in dollar terms, on the annual statements they send you. They have to tell you what you’re paying as a percentage of your fund, but not translate this into a monetary figure that might be easier for you to digest. Thirty seven percent of the FMA’s survey respondents said they would like to see fees expressed in a dollar amount, while a resounding 97% of those surveyed by the Commission for Financial Capability (CFFC) said the same thing. Furthermore, 39% of FMA survey respondents said they’d like their providers to explain how those fees are calculated. MBIE is currently working with the FMA and CFFC to review the format and content of KiwiSaver providers’ annual statements. “We would echo any encouragement that consumers ask their providers what their fees are in dollars,” Gregory says. Massey University banking expert, Claire Matthews, also supports having fees disclosed in a dollar and cents format. “In the interests of transparency and encouraging people to understand what they’re paying - absolutely, it does make sense,” she says. “If people could see them and actually start to take a bit more interest in the fees they’re paying, then that’s likely to force KiwiSaver providers to sharpen their pencils around those fees, because people will have a better understanding. “Obviously you can do the calculations and work it out, but to actually see it disclosed really evidently, and have it simple to find, will make people more interested and therefore should encourage some fine-tuning of those fees. Matthews explains the percentages KiwiSaver providers use to calculate fees are reasonably fixed, yet the dollar figure you’ll pay will change depending on your account balance. FMA figures show KiwiSaver members paid $269 million in administration, investment and trustee fees, and other expenses in the year to March 31 2015. This was up from $221m in 2014 and $178m in 2013 (remember the total amount we pay in fees will increase as the scheme grows). These fees were equivalent to 2.34% of all the income the KiwiSaver Scheme received through member contributions and investments in 2014. Asked whether the FMA has any concerns about the level of fees KiwiSaver providers are charging, Gregory says: “KiwiSaver was supposed to bring the fees for managed funds down and if you look at what the fees are here relative to other places, it’s not especially egregious. But the point is, are they disclosed? Gregory stresses that fees should only be one of a number of factors KiwiSaver members consider when making decisions around their funds. FMA survey respondents were also really keen to see KiwiSaver providers provide projections around what their funds might look like when they retire. In fact, 72% said they would like to see information about the lump sum they were on course to receive when they retired in their annual statements. And 62% said they would like to see what weekly income that lump sum would deliver in retirement as they drew it down. He says KiwiSaver providers would have to be really clear in disclosing the assumptions they would use to make any projections. Ensuring all providers used a standardised formula to calculate these projects was a “potential option”. Matthews is less enthused by these projections. She sees the advantages, but is worried there are so many variables that could see members’ balances changes over the course of their working lives. She says this is particularly the case for younger members who may have 40 years of work ahead of them for example. Kiwi Wealth has led the charge in terms of heightened disclosure, with its online portal providing members with a lump sum projection of how much they’re tracking to get on retirement, how this translates into income and dollar values of the fees they’re paying. Its online tool also allows members to see how this would change if they changed funds. Kiwi Wealth’s head of retail wealth and marketing, Joe Bishop, believes it should be compulsory for KiwiSaver providers to make these sorts of disclosures on their annual statements, but says they should be going further. 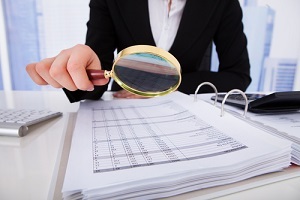 “Whilst an annual statement is a really useful tool, it is only one tool. And actually most members are used to interacting with service providers through a much more digital medium these days… They’re used to logging on through their smartphone and being able to make transaction immediately,” Bishop says. The FMA’s survey shows only 21% of members had read their KiwiSaver statement thoroughly, and 58% had briefly looked at it. “People’s expectations of service providers have changed and paper statements or electronic versions of paper statements - whilst they are useful - that use can be limited…. There is more than just a fixed % management fee for each fund. There are fixed admin fees and there is tax which will differ between funds. So its quite complex to compare even within one particular kiwisaver provider! To predict what the kiwisaver balance may look like when the individual retires is "fraught". There would need to be an industry wide standard otherwise this would be seen as a marketing opportunity. It would have to allow for massive variations in predicted returns. Like a Monte-carlo mathematical program. The industry and the media love to say that "growth funds" are the thing to be in for a young person. But if there was to be a sharemarket crash just before the person was going to convert into a "conservative" strategy, the industry and media will quickly scuttle under a rock somewhere. Care will be needed not to foster elevated expectations. "Your investment is at risk. You may get back less than you invest." One way around that risk is to gradually change your exposure from shares to bonds over a period of decades. I know superlife offer a fund (AIM age steps) that automatically changes allocation as you get closer to retirement, I'm a control freak so set it myself (currently 80% shares/ 20% bonds, will adjust to mostly bonds by around 60 depending on how my plans change). I expect other providers offer similar, it's become pretty common overseas at least. I agree, it's a nightmare to work out what total fees you're paying in the end as there are so many factors. I'd have thought it's the best way to bring down some of the currently extortionate fees out there though, if it's easy to do a direct (if approximate) comparison. In the UK/US it's possible to easily own funds that cost ~0.1% or so, kiwisaver over here generally seems around 10 times that. 1% fees sound small until you realise that's 20% of your ~5% expected real return down the drain. A. I have no idea what the dollar cost of my Kiwisaver fee is. It's Milford Aggressive. Jenee - in mitigation I plead that I am so happy with it's extraordinary return that I don't care and haven't looked. The hole in that argument of course is the cost might be extraordinary and make me unhappy if I look it up. B. No I don't know what it will be worth. But have no guilt on that as Kiwisaver has only been going for 7-8 years and one could never expect to retire on it. Any cash is useful, but it is never going to be a significant contributor against the other things. For me, I think I would only be comfortable with retirements assets in excess of two million dollars. Not including the house I live in. Milford Active Growth has high fees, but my account has gone up about 50% after fees and tax in a bit over 3 years, and they have had 10-25% in cash and bonds, so it's a fairly conservative active(nee aggressive) growth fund. PS Milford is very transparent, check website.